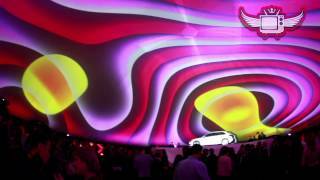 Full dome mapping and real time domemaster slicing has never been so easy. You simply choose your dome-blueprint, map it, blend the projector outputs, load your content and you are ready to play. You can also load your domemaster files into any Syphon player and Blendy Dome VJ will slice, map, and blend your content perfectly using its vertical and circular soft edge blends with the “Blendy” trademark exclusive RGB-based blend positioning. Simulate different projectors setup and navigate in your 3D dome just like a video game. Drag-and-drop your content into Blendy Dome VJ and check how it looks in a virtual dome. It is also an excellent pre visualization tool for your full dome creations. It allows content producers to try out their productions on the go. It supports various video formats and Syphon….